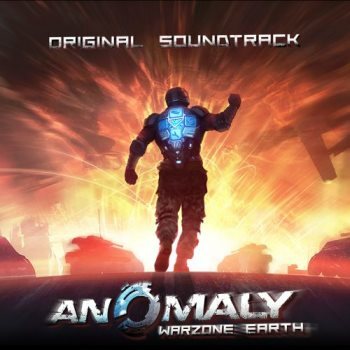 Anomaly: Warzone Earth developer 11 Bit Studios has released the soundtracks for all its games at no charge. Anomaly: Warzone Earth and its sequel, Anomaly 2, are pretty cool games if you're into the tower defense thing, and I've heard good words about Funky Smugglers too. Sleepwalker's Journey, I really don't know about, but that's not especially important because right now we're not talking about the games, we're talking about the music, all of which you may now snag absolutely free. 11 Bit Studios has for reasons unknown decided to package up all the music for all its games and just give it away. And not only that, it's released each one in two formats, FLAC and MP3, and whipped up some pretty swanky album covers to go with them. And why this sudden outburst of generosity? As composer Piotr Musial explained, it's definitely not an effort to attract attention to the studio's next project, which it isn't necessarily working on at all. "I wish I could say that we are working on an absolutely exciting game now, and that it will again be musically different than their previous games, and that there is a lot to expect from, but you know - professional confidentiality," he wrote. So there you have it: Nothing to see here but some good, free game soundtracks. Grab them all at 11bitstudios.com.